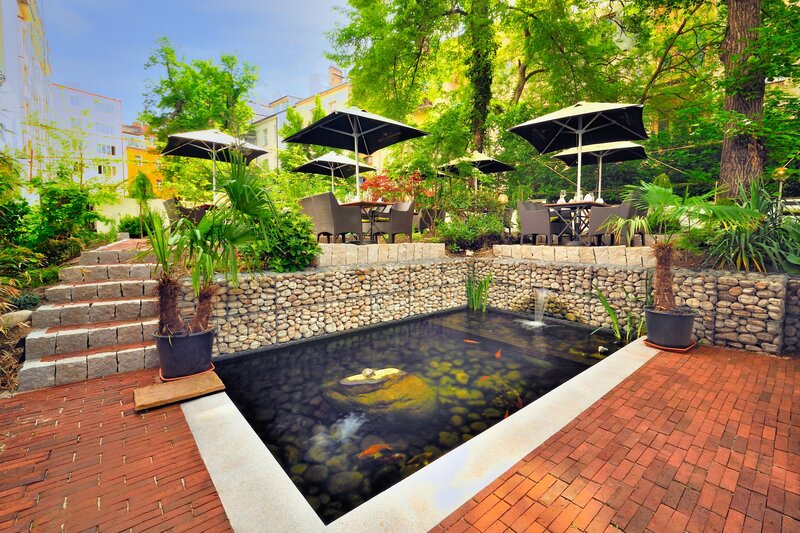 The Green garden is a restaurant and coctail bar, that will captive you by with its friendly atmosphere. 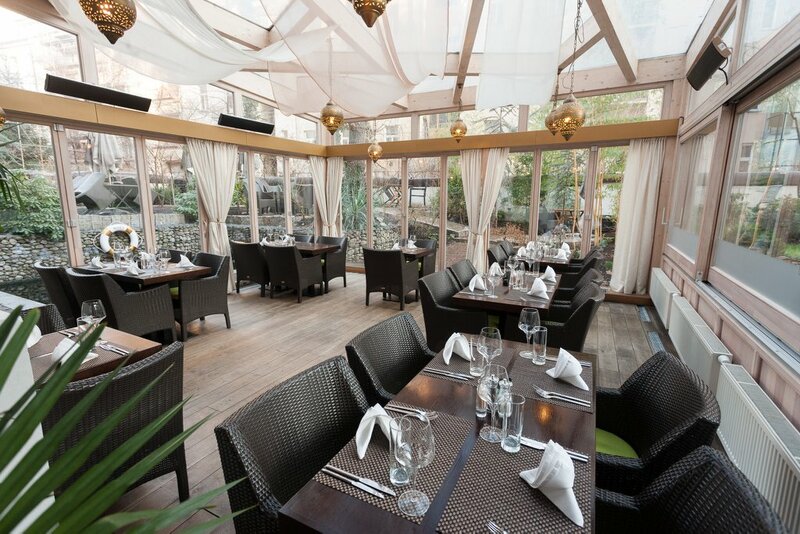 It's a place where you can enjoy Mediterranean cuisine. 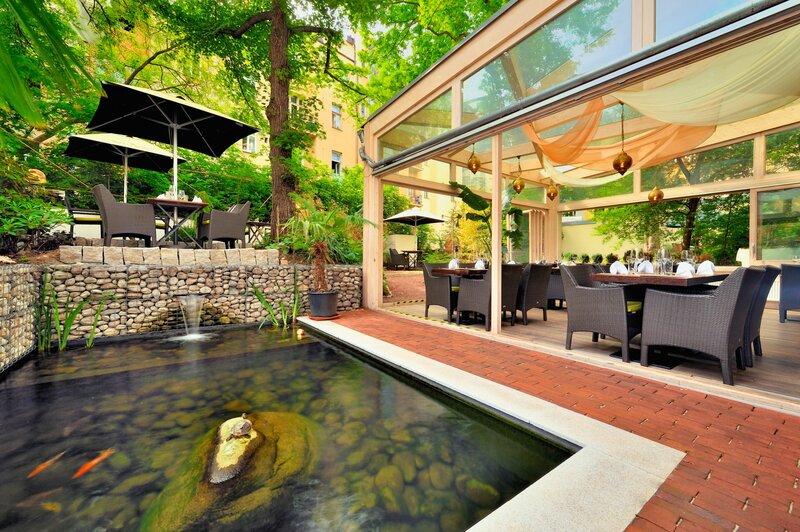 The restaurant is dominated by a winter garden with fireplace and view into palm garden with a pond with stugeons and Koi carps.